The multiplayer horror game Last Year: The Nightmare will come out on December 18th on Discord’s online store, according to an official announcement today. 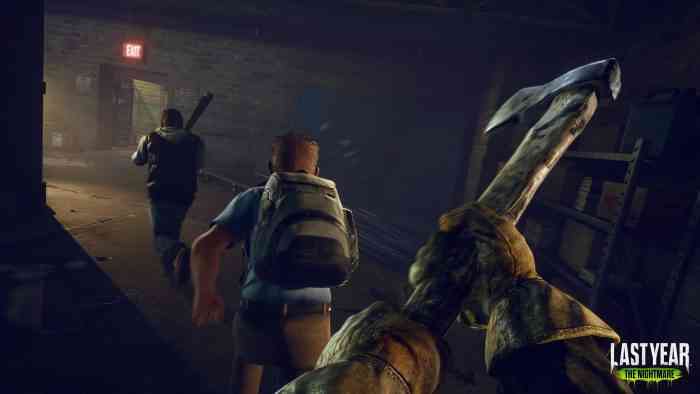 This six-player multiplayer game involves five players taking on the role of teenagers while the sixth player plays as a mysterious band of killers. The teens have to complete objectives that’ll lead them to victory and the killers have to take out them out before they succeed. According to a press release for Last Year: The Nightmare, the game will have timely content updates. Last Year: The Nightmare will cost $29.99 and will launch on consoles sometime in 2019.